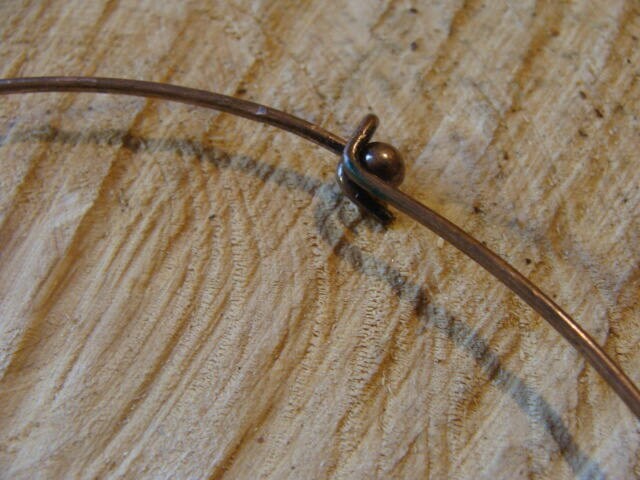 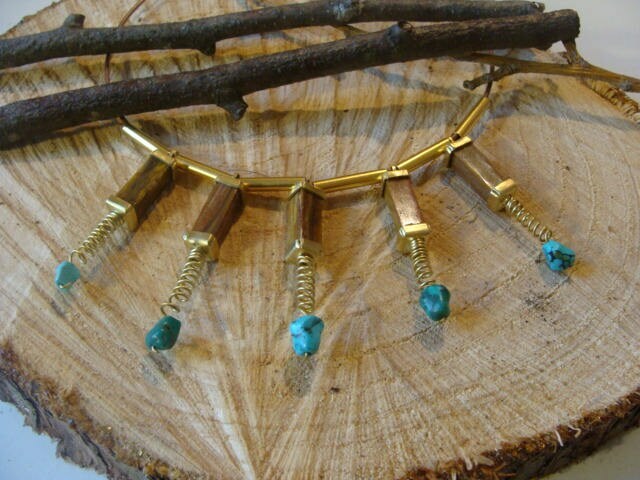 Choker necklace made in a traditional way, each piece is made by hand! 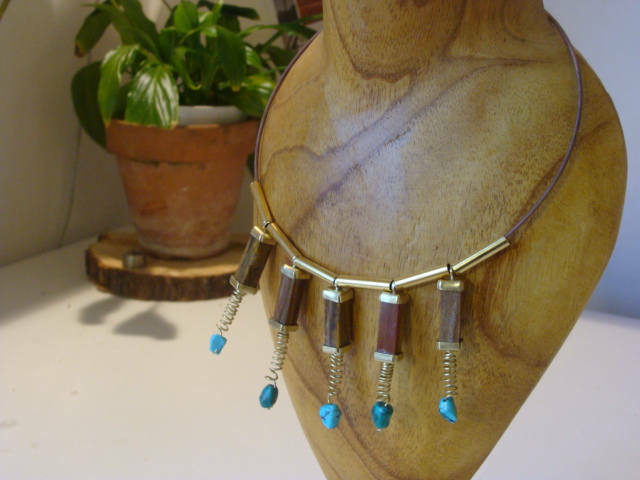 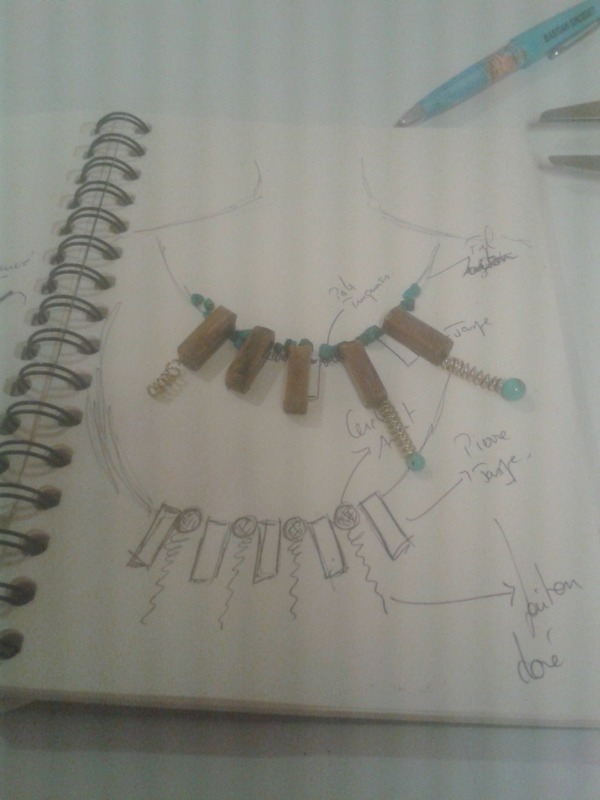 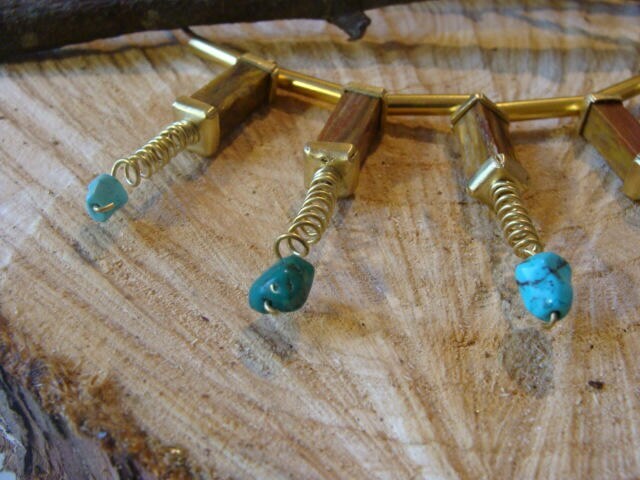 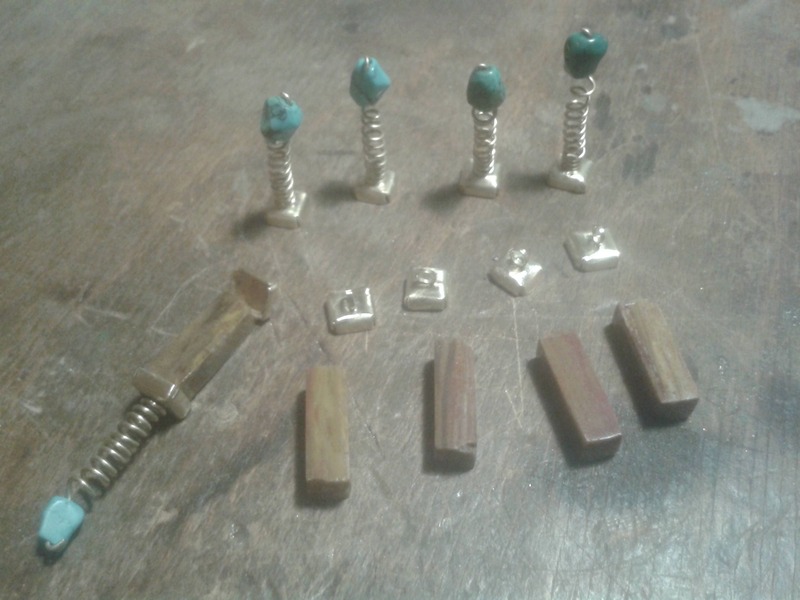 Brass tubes, alternating pendants motifs adorned with turquoises and beautiful natural jasper. 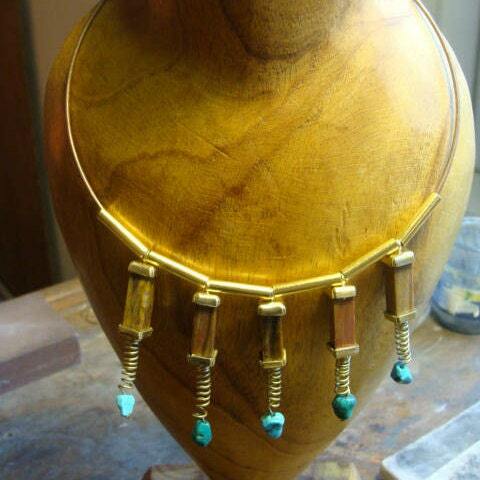 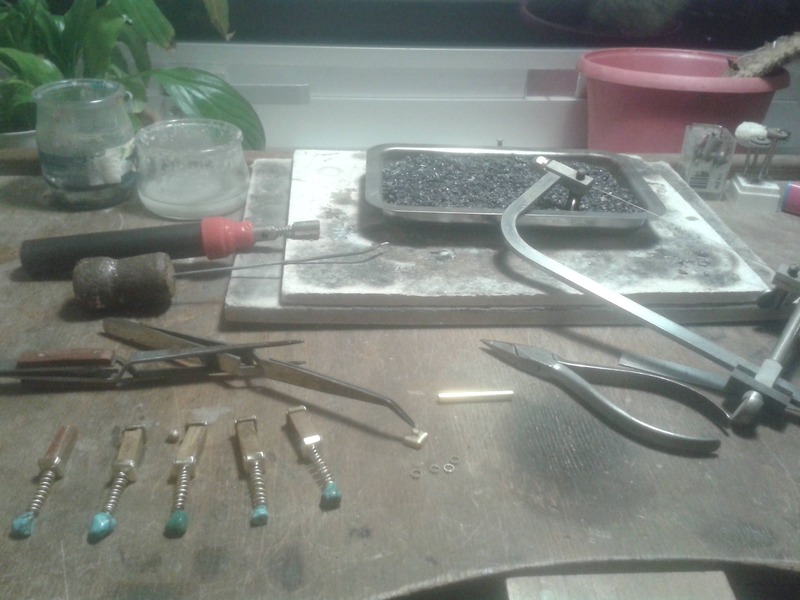 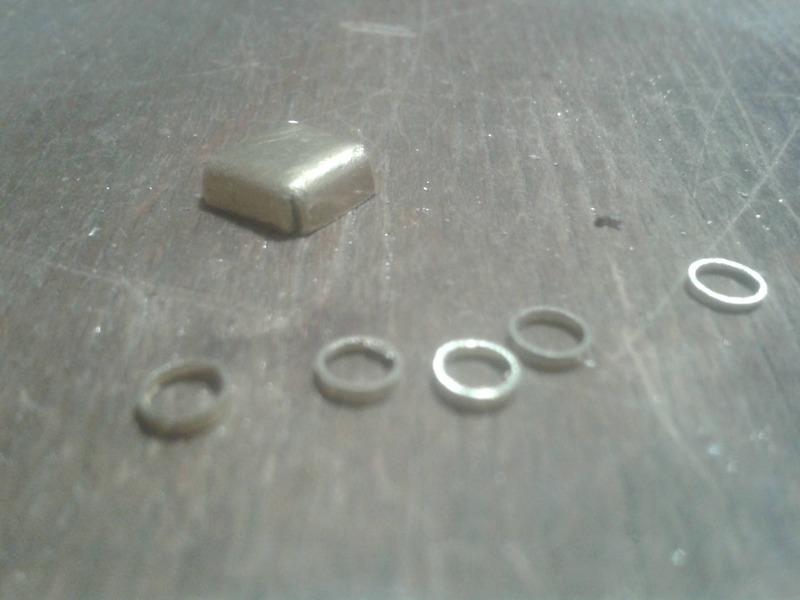 Lovers of craftsmanship, natural stones, original pieces, visit my creations!